Stellar, one of a kind, gated Lake Washington waterfront enclave. Rare property includes 3 separate tax lots that is 13,200 sq. 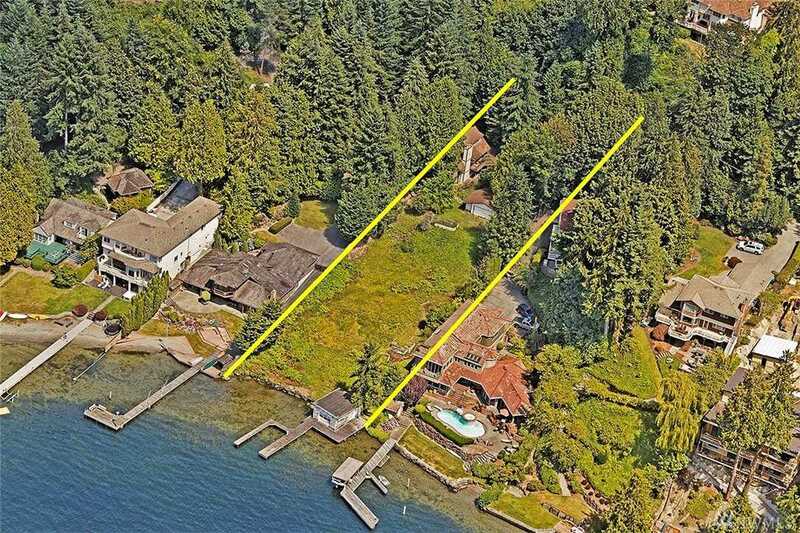 ft. with 100′ No Bank Waterfront, dock, deep water moorage and boathouse, 10,000 sq. ft. middle view lot, plus a 10,400 sq. ft. upper view lot with a four bedroom home, vaulted ceilings, skylights, wrap around decks, detached garage. This amazing estate setting is perfect for a waterfront compound, or building on the waterfront & selling the other two lots. Directions: From Juanita Drive NE, turn west on Holmes Point Drive NE. Turn north on 62nd Avenue NE. Home is on the left.